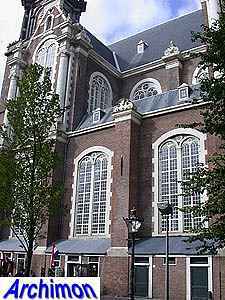 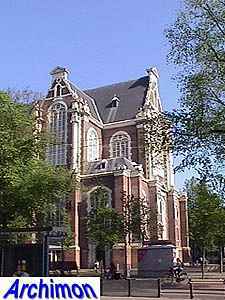 When Amsterdam expanded in the western direction in 1613 (the current Jordaan neighbourhood) new churches were needed. 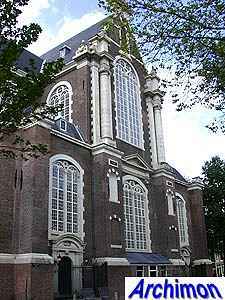 The construction of two new churches was ordered in 1620, and Hendrick de Keyser was commisioned to design them. 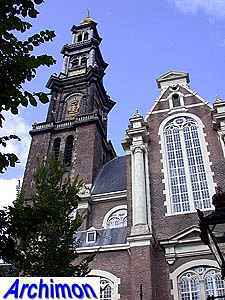 Work on the smallest of the two, the Noorderkerk, was started a few months earlier, but it was finished eight years before the Westerkerk. 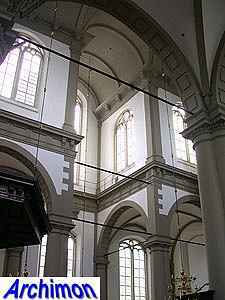 But then, this is a much more monumental church. 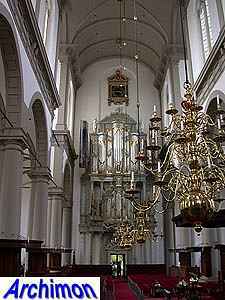 It shows many similarities with De Keysers Zuiderkerk (1603-1614) but in a more developed Renaissance style. 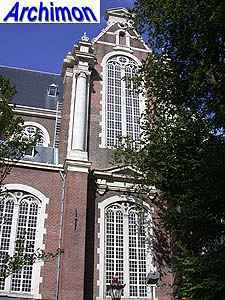 De Keyser was in charge of the construction for only a short period. 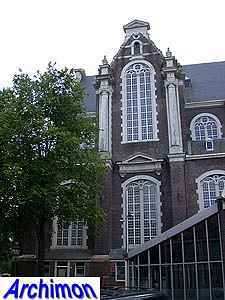 He died on the 15th of May 1621, and his son Pieter took over his position as the town's architect. 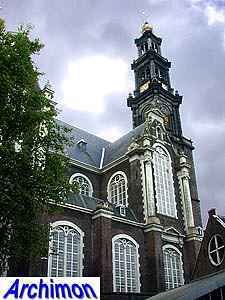 The building was not completely finished according to Hendrick's plans; for instance the gables of the transepts are different, and so is the tower. 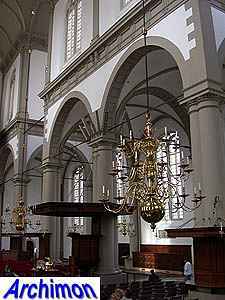 Originally the design was for a octagonal upper segment but the idea was obviously replaced by that for a square one, possibly a decision taken by Pieter de Keyser. 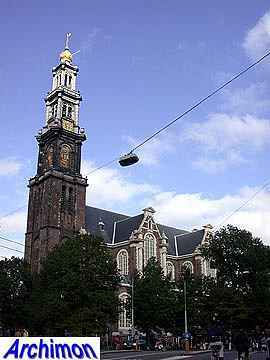 On top is the so-called crown of Maximiliaan, a symbol granted to the city by the emperor of an empire Amsterdam just had managed to break free from. 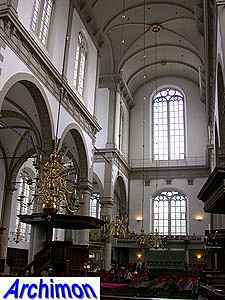 When the church was finished in 1631 it was the largest church in the world that was specifically built for protestant services. 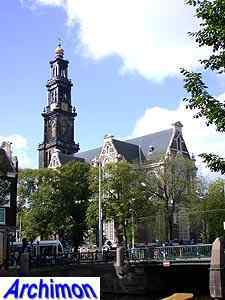 It's still the largest church ever built for the protestants in the Netherlands. 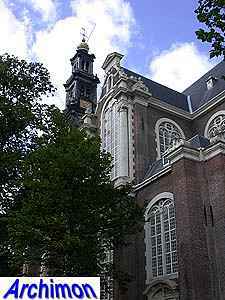 The tower wasn't finished until 1638.